The College of Science at Oregon State University is generating Science Leaders for the next generation. Collaborations between faulty and undergraduate researchers in OSU labs are leading toward innovation for Oregon. 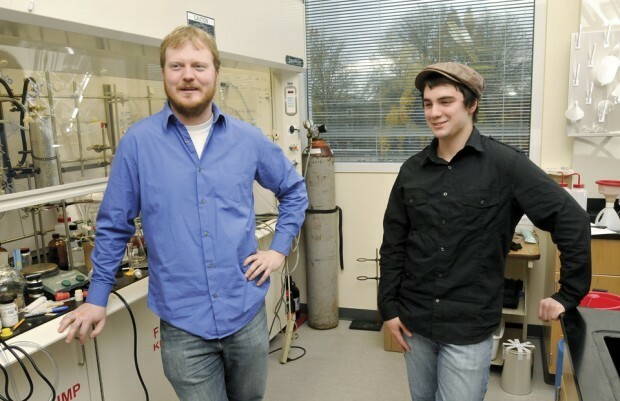 When Sam Bartlett ran into his advanced organic chemistry professor, Chris Beaudry, at the near-campus coffee shop Interzone in spring 2010, he had more than a caffeine quest on his mind.